This article examines the constituent parts of a Xamarin.Android application package and the associated strategies that can be used for efficient package deployment during debug and release stages of development. 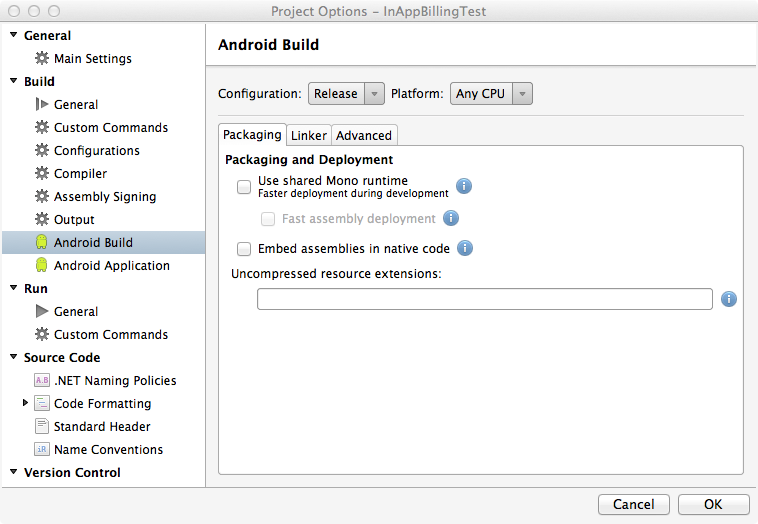 Xamarin.Android uses a variety of mechanisms to minimize package size while maintaining an efficient debug and release deploy process. In this article, we look at the Xamarin.Android release and debug deployment workflow and how the Xamarin.Android platform ensures that we build and release small application packages. 15.8 MB is a larger download size than we’d like. The problem is the BCL libraries, as they include mscorlib, System, and Mono.Android, which provide a lot of the necessary components to run your application. However, they also provide functionality that you may not be using in your application, so it may be preferable to exclude these components. As illustrated here, your application package size will generally be about 2.9 MB larger than your application and its dependencies. Things are handled slightly differently for debug builds. When redeploying repeatedly to a device, an application needs to be as fast as possible, so we optimize debug packages for speed of deployment rather than size. Android is relatively slow to copy and install a package, so we want the package size to be as small as possible. As we discussed above, one possible way to minimize package size is via the linker. However, linking is slow and we generally want to deploy only the parts of the application that have changed since the last deployment. To accomplish this, we separate our application from the core Xamarin.Android components. The Fast Assembly Deployment build option can be used to further decrease the size of the debug install package by not including the assemblies in the application's package, installing the assemblies directly on the device only once and only copying over files that have been modified since the last deployment. Right click on the Android Project in the Solution Explorer and select Options. Click the OK button to save the changes and close the Project Options dialog. The next time the application is built for debug, the assemblies will be installed directly on the device (if they haven't already been) and a smaller application package (that does not include the assemblies) will be installed on the device. This will shorten the time it takes to get changes to the application up and running for testing. By enduring the long first deploy of the shared runtime and shared platform, every time we make a change to the application, we can deploy the new version quickly and painlessly, so we can have a fast change/deploy/run cycle. In this article we examined the facets of Xamarin.Android Release and Debug profile packaging. Additionally, we looked at the strategies that the Mono for Android platform uses to facilitate efficient package deployment during debug and release stages of development.